BitAsset is a leading global financial trading platform of digital assets. 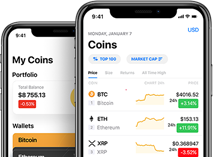 It supports a variety financial services such as fiat currency deposits with numerous deposit methods and currencies, wallet custody, spot trading, margin trading and short selling. With BitAsset, users have access to various professional financial products for digital assets such as futures, derivatives and index ETFs. The platform also provides an automated market monitoring system to warn users of transaction risks in advance and guarantee the safety of users' asset. BitAsset forms a complete digital banking system with a professional team composing more than 1,000 account managers to provide 24/7 advisory services and support to traders.